General George Washington and General Benedict Arnold were both effective leaders; however, their lasting effects on their organizations were profoundly different. Although both men were heroes of the continental Army, one went on to become the father of our country and is universally viewed today as an exemplar of selfless and inspiring leadership. The other became our nation’s most notorious traitor. His name evoking thoughts of someone who’s pride and self-oriented actions led him to sell out his young nation in hopes of personal fame, glory, and reward. Two leaders. Both gifted. One added value and left his surroundings better than he first found them. The other’s unchecked ambition and inability to keep his toxic tendencies in check resulted in a legacy of disillusionment, betrayal, and mistrust. We have all likely endured the overly ambitions boss or overbearing leader. However, leaders with toxic-tendencies are something more. Rather than creating conditions for people to flourish and thrive and come fully alive, their destructive tendencies sap our strength and steal our joy. Their toxicity is a contagion which, in time, pollutes the culture of the entire organization. The term “toxic leadership” is often used to describe those who have a profoundly negativeeffect on others. Be it a promise-breaking politician; arrogant or ignorant media personality; greedy corporate executive; demanding and demeaning military leader; or anyone else who routinely undermines, demeans, or micro-manages subordinates, toxic leadership has become all too commonplace. Much like General benedict Arnold, those men and women in positions of power and influence who possess an almost narcisstic preoccupation with themselves and their agendas do much more harm than good. Richard Wagner, in his book Smart People Doing Dumb Things: The Case of Managerial Incompetence, shares how individuals with toxic tendencies are often the first to take more credit than they deserve when things go well and are often the first to point fingers of blame when they do not. Rather than leading in a manner that creates strong bonds of mutual trust and respect in order to facilitate mission accomplishment, toxic leaders generate serious and enduring poisonous effects—fostering a climate of fear, distrust, divisiveness, selfishness, and a host of other unhealthy and unproductive conditions. Prone to conduct themselves with an air of self-importance that’s impossible to miss. That’s quite a sad list, if you ask me. And the fact of the matter is, toxic leadership is neither new nor limited to a particular industry. Don’t Foster Blindspots. Going through life without asking for feedback is like driving in a foreign country without ever stopping to ask directions. One of the best ways to guard against developing toxic tendencies is to periodically ask those you know for their candid and constructive feedback. Determine if the way you see yourself is accurate with how others perceive you. Assess if your words and your ways, your tone and your temperament, carry tinges of arrogance or hints of haughtiness. Be open and genuinely interested in others feedback about your performance. Don’t Be a Decision-Deflector. One of the single biggest ways a leader can undermine confidence and breed complacency is to be indecisive. Rather than step into their role as a decision-maker, leaders with toxic tendencies tend to deflect decisions, especially challenging or unpopular ones, for fear of looking incapable or incompetent. If this describes you, stop. Assert yourself when necessary, and take advice when needed. Don’t Be Emotionally Hijacked: Don’t allow your emotions to get in the way of your success. Knowing when to practice self-control and self-discipline communicates a sense of consistency and maturity to those around you. Don’t Dodge Disappointment: Although setbacks, failures and disappointments can be a very real byproduct of leading, those with toxic tendencies often strive to play it safe. Given their insistent need to guard their egos and protect their public personas, toxic leaders prefer to dodge disappointment rather than recognize that risking the sting of defeat is what could very well unlock opportunities for growth. Don’t Be Afraid to Raise Your Hand: Leaders with toxic tendencies are quick to reject responsibility. They refuse to accept the consequences of outcomes anytime doing so threatens their self-perpetuated myth they are too good to err. Don’t let that be you. Remember, sometimes your role as leader means having to shoulder the responsibilities of others’ actions. Are you ready to improve your leadership skills? Adopting some or all of these traits could be a step in the right direction. Don’t Wield Power Over Others. Leaders with toxic tendencies routinely forget their primary job is to effectively guide others to achieve mutually beneficial goals and objectives. It’s not to indiscriminately wield power over them. If you are operating effectively as a leader, you likely have figured out the value you add is often invisible. It is what those around you achieve that truly validates your role, not what you do to promote yourself. Keep any toxic tendencies at bay by focusing on enabling others to succeed. Strive to liberate their talent and potential then, get out of their way. Estimated Date of Resumption: Wednesday, 1st November, 2017. The incumbent is expected to work with the Financial Reporting team to ensure that all general ledgers are managed in an effective and efficient manner by ensuring all accounting entries are accurately posted and are up to date at all times. Ensure that transactional documentations are complete with all the requisite approvals before such transaction is processed. Ensure that transactions are called over daily to ensure that errors and or irregularities are discovered promptly and escalated to the team lead and/or departmental head promptly. Ensure that all transactional documents are filed in neat and easily retrievable manner. Think People Management, think Compensations and Rewards, think Learning and Growth, that’s what makes Human Resources at Seamfix tick. Every organisation is only as strong as its weakest link and for this we’re particular about recruiting the best talents into our workforce. Our HR department is looking to hire a Human Resource Officer with specialty in Talent Acquisition and Management. For you, only the best will do, no compromise. You will meet staffing objectives by recruiting and evaluating job candidates; advising managers; managing relocations and oversee the learning and development program. You are very sociable and have a good network. You have a first-class or second-class upper degree in Social Sciences , Management, Computer Science or a related relevant discipline. Ability to plan and prioritize optimally. The Business Development Executive is responsible for coming up with different strategies for product expansion and growth in the marketplace to drive sustainable financial growth through boosting sales and forging relationships with clients. Birthday bashes on the house & TGIFssss. The copywriter will write winning copies. Copies that communicate clearly through any medium and ultimately achieve whatever the communication intent was, either to inform or ultimately sell. He/She must have a very good command of English Grammar, must be versed, and highly articulate. The copywriter will focus on presenting the company in the best light possible, have a growing knowledge of our products and offerings, discovering and communicating USPs. He/She will be responsible to write clear and concise copy for ads, publications, our website or for PR efforts. Provide copy for all marketing initiatives including product launches, social media presence, company and products website and blogs, and corporate events. Manage brand delivery and consistency across all markets for all product lines. Provide compelling copy and work with the team (marketing and graphics) in delivering high quality sales/marketing content across all our brand touchpoints. 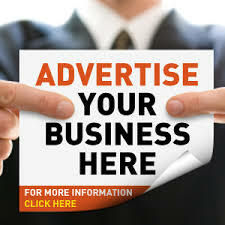 Keep abreast with trends, key into and spin trends towards promoting our product/company brand. Any other responsibilities as maybe assigned by your line manager. Are you witty, smart and funny? And you’re not the only one who thinks so, Then we need a you as a Social Media Executive to rule our social media space. You’ll compete fiercely but fairly with our competitors, and ensure we’re doing more than ‘just fine’ out there. You’ll creatively engage visitors to our pages/channels, you’ll sell and cross sell without trying so hard to. Ensure company presence on all major social media handles – Twitter, Facebook, LinkedIn, YouTube, etc. Drive overall strategic direction of editorial, creative and management of production for websites (corporate site and associated properties), digital video (YouTube and other video channels) and other media outlets. Research, communicate, and meet with internal stakeholders to gain adequate product knowledge, understand business goals and objectives to get a clear understanding of how pivotal your role is to meeting those goals. Ensure requests for materials (copy, graphics, video) from other internal departments are sufficient and being handled properly for content creation.